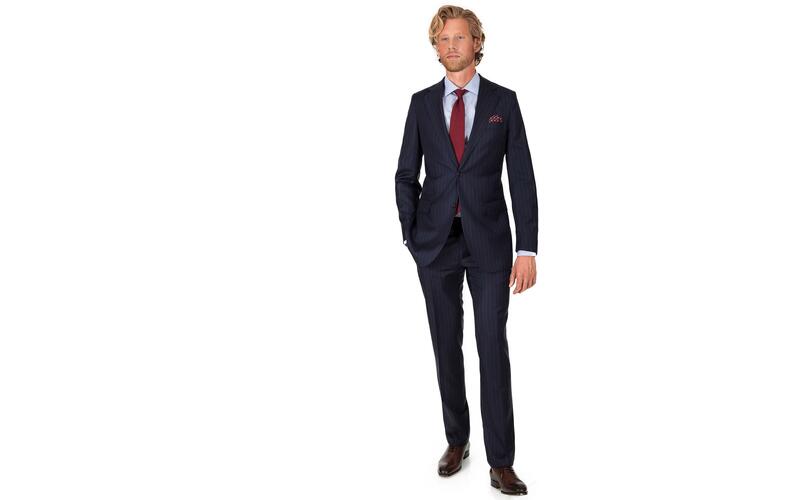 Our model is 6'2'' and wears a 38L jacket (waist taken in an additional 1.5'') and a size 31W pant. 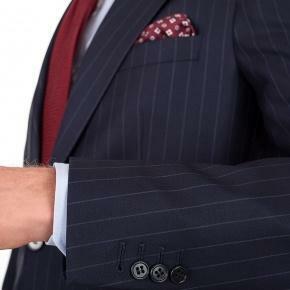 If you need any alterations, we'll cover up to $50 per suit - just email us the receipt from your local tailor. 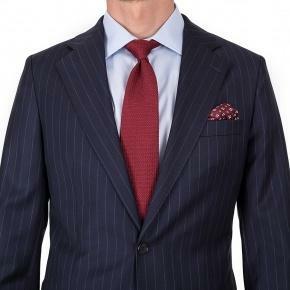 This Navy Chalkstripe Suit makes a statement without going over the top. 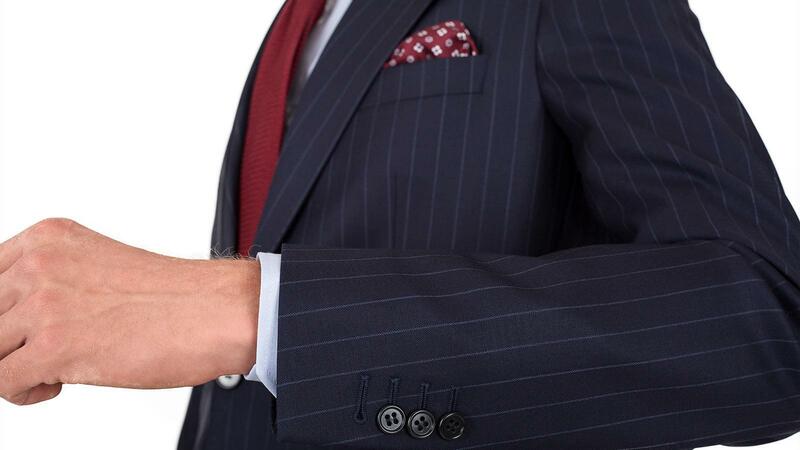 The stripes are in a light shade of grey instead of white, resulting in a low contrast look, which clearly shows that the owner of the suit is sartorially sophisticated, yet level-headed. 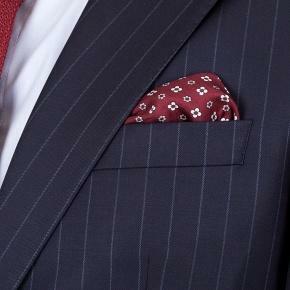 - 100% Italian Merino Super 110s wool by Vitale Barberis. All seasonal (280 gms / 10 oz).